When Police Stop a Vehicle, Can the Police Order the Driver to Exit the Vehicle? In Pa. v. Mimms (1977), the US Supreme Court held that when an automobile is lawfully stopped for a traffic violation, a police officer may, as standard procedure, order the driver to exit the vehicle. When police make a traffic stop, the car and driver are seized. The Fourth Amendment of the US Constitution protects drivers from unreasonable seizures. The reasonableness of the search is determined from the balance between officer safety and the driver’s personal liberty. The US Supreme Court said that officer safety is “legitimate and weighty” and that the intrusion on the driver’s personal liberty is minimal. Consequently, the Court ruled that “once a motor vehicle has been lawfully detained for a traffic violation, the police officers may order the driver to get out of the vehicle without violating the Fourth Amendment’s” protection against unreasonable searches and seizures. What Happens If I Am a Passenger in a Vehicle That Is Pulled Over by the Police? Am I Free to Leave? In Brendlin v. California (2007), the US Supreme Court held that when police make a traffic stop, the passenger in the car, like the driver, is constitutionally “seized.” That is, the police temporarily possess, or detain, the car, the driver, and all passengers. Even though the command to stop is directed at the driver, passengers are not free to leave once the police have stopped the vehicle. Do Police Need a Warrant to Search a Vehicle? Based on the Fourth Amendment of the US Constitution, police generally need a warrant to search you or your property. But police only need probable cause to comply with the Fourth Amendment for searches and seizures outside your home. Accordingly, police may search your vehicle without a warrant during a traffic stop if they have probable cause. “Probable cause” means that police must have reasonable grounds for belief of guilt. 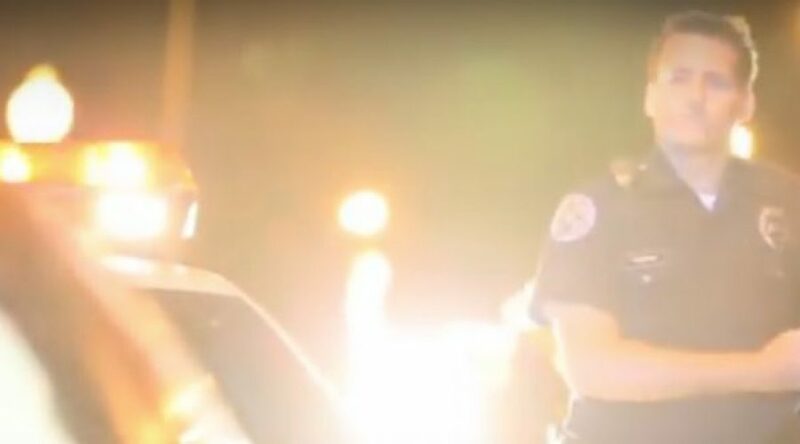 In other words, based on the facts and circumstances of the traffic stop, a police officer must reasonably believe that the suspect has committed or was committing an offense. Common examples of probable cause include the sight of contraband in plain view, the smell of contraband (for example, the smell of marijuana or alcohol), or a suspect’s admission of guilt for a specific crime (for example, a driver admitting to having drunk two beers). These facts would allow police to search the vehicle and even make an arrest. Can Police “Stop and Frisk” a Driver or Passenger in a Vehicle? The US Supreme Court had previously held that a stop (temporary detention) and frisk (patdown for weapons) may be conducted without violating a person’s constitutional rights. Two conditions must be met, however: (1) the investigatory stop must be lawful; and (2) the officer must reasonably suspect that the person stopped is armed and dangerous. In Arizona v. Johnson (2009), the US Supreme Court affirmed the authority of police officers to stop and frisk drivers and any passengers in a motor vehicle temporarily seized upon police detection of a traffic infraction, subject to meeting the above two conditions. Can a Driver or Passenger in a Vehicle Contest a Traffic Stop? A driver or passenger will have standing to contest the legality of the traffic stop. If the court holds that the traffic stop was unlawful, the driver or passenger would also have standing to move to suppress evidence obtained from the illegal seizure. It is important to understand that the laws regarding traffic stops, searches of vehicles, and searches of vehicle passengers are very complex. Each case is different, and the outcome will vary depending on the specific facts and circumstances of a given case. If you have questions about your constitutional rights during a stop and frisk, or if you have been arrested following a traffic stop, call The Wright Law Group today. With over 25 years of experience in Criminal Law, The Wright Law Group, P.C. is well-equipped to assist you. Call us now at (702) 405-0001. Our consultations are always free and confidential.